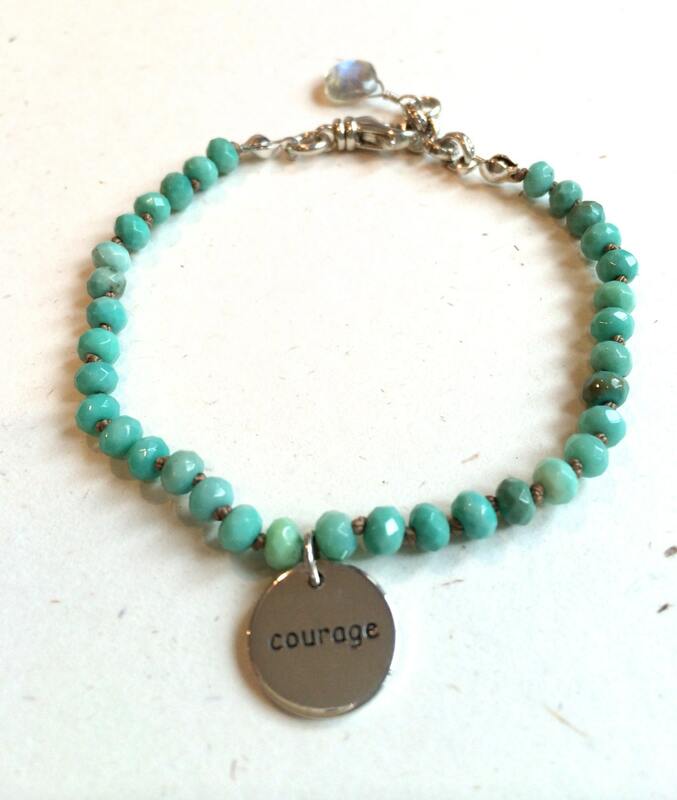 This is the perfect bracelet for a friend or loved one who is needing an extra affirmation of courage and strength. 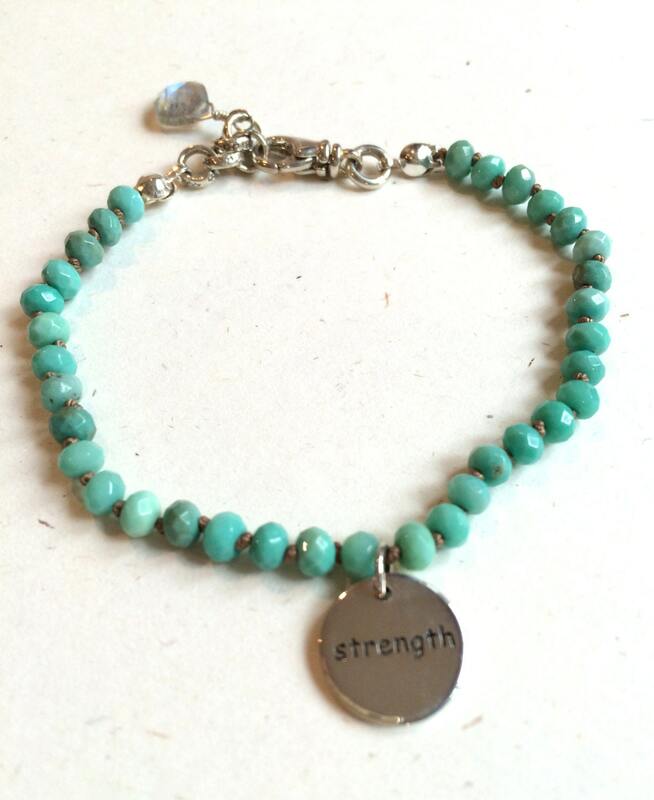 A great gift for anyone tackling a life challenge. 5 mm chrysophrase rondelles are hand knotted on taupe silk. 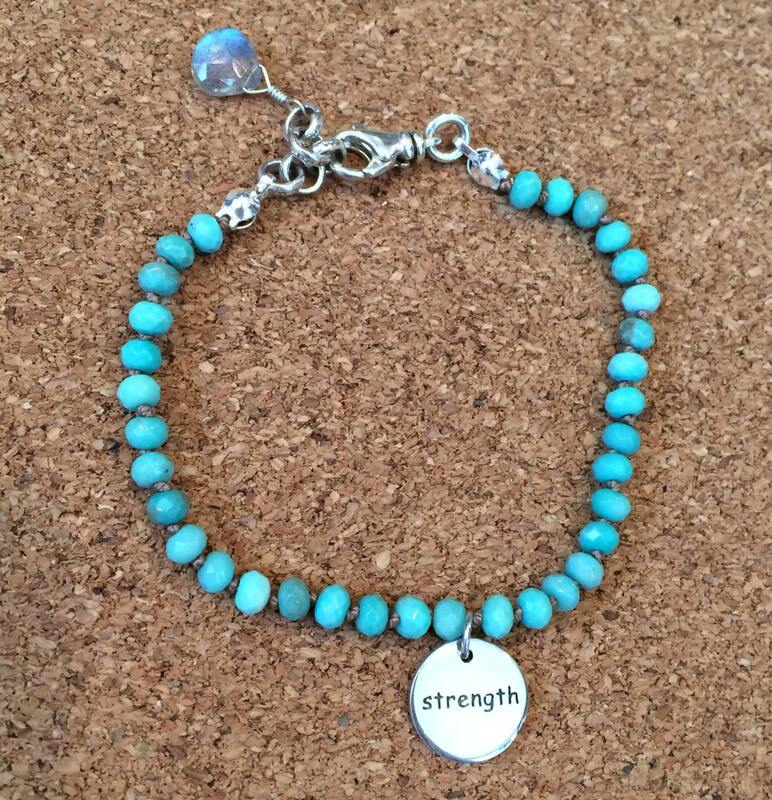 The solid silver charm is two-sided: strength on one side and courage on the other. A glistening labradorite drop hangs delicately at the clasp. A solid silver lobster clasp will keep this bracelet secure. The gorgeous green color can be worn with almost all colors.